Welcome to the Gender Tick™. We are a unique New Zealand based accreditation programme for businesses to demonstrate their commitment to gender equity in the workplace. We designed this first of its kind initiative because we know that businesses are increasingly seeking independent validation that their people, policies and processes promote a healthy workplace for all genders. Here at the Gender Tick™ we know there is real value for companies in being identified as both a desirable place for women to work and maintaining a highly engaged and motivated workforce. And advancing the rights of women in the workplace makes sense, not just for social justice reasons, but also for reasons of productivity, workforce health, talent management and competitive advantage. With this in mind, the Gender Tick™ has been developed to enable businesses to demonstrate their compliance and leadership in matters of gender in the workplace. Successfully accredited businesses will be able to use the official Gender Tick™ logo on all internal and external communications to let everyone from their customers to their future employees know that they are proud of their healthy gender-neutral culture. Read on to discover the story behind the Gender Tick™ and how it can benefit your workplace. Why do we need THE GENDER TICK™? The proportion of women in leadership positions in New Zealand companies has hit an all-time low and we are one of the lowest ranked countries worldwide for women in senior leadership roles. In 2017, we ranked 33rd out of 35 countries globally for women in senior leadership roles, and currently there is only one female CEO in New Zealand’s top 50 NZX listed companies. This is despite the research that companies with a female CEO outperform those with a male one. And despite the fact that 40% of the global paid workforce is women, and a further one billion women are anticipated to enter the paid workforce over the next decade. It is not surprising then that one in four millennial women do not feel that there are senior female role models that resonate with them in their current company. Increasingly we are seeing them seek out employers with a strong record on gender equity. This is where the Gender Tick™ provides a valuable tool for women at work and their employers. In 2018, Minister for Women, Hon. Julie Anne Genter outlined her plan to remove the gender pay gap in the state services within four years, which is a positive move that will impact many thousands of women. However, there are many other drivers of gender discrimination in the workplace. Factors such as flexible working arrangements, career development pathways, workplace culture and sexual harassment in the workplace. The Gender Tick™ seeks to address these factors. The programme looks across five key indicators in a company, including gender inclusive culture, flexibility and leave, career development, gender pay equality, and ensuring a safe workplace. Businesses who achieve accreditation can display the Gender Tick™ logo on all internal and external communication. This allows all future employees to identify companies who have been independently validated as gender equity champions. The Gender Tick™ programme was created created by YWCA Auckland with the assessment managed by leading Diversity and Inclusion practitioner, Dr. Kaisa Wilson of Mosaik Ltd. The programme is accredited by YWCA Auckland, who are part of the world’s largest women’s organisation which leads social and economic change in over 100 countries worldwide. 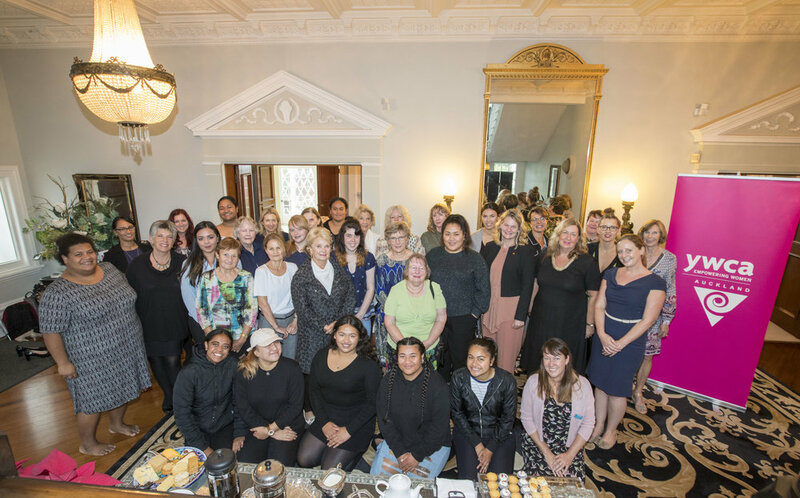 The YWCA is acknowledged as a champion for gender equity in New Zealand through pioneering the Equal Pay Awards in 2014, which has grown rapidly in influence and entries in the following years. In 2018, the decision was made to develop the Gender Tick™ programme in line with YWCA Auckland’s passion for individual and community change, enabling businesses to become safe spaces for women and working to remove work-based barriers to women’s economic independence. The evaluation framework of the Gender Tick™ has been developed by leading Diversity & Inclusion practitioner, Dr. Kaisa Wilson. Kaisa has worked for over 10 years in organisational development across organisations as varied as grassroots NGOs to governments. Currently she is working with some of the top firms in the NZX top 50 companies. She is extensively experienced in working with senior management and work forces, specialising in producing powerful, clear reporting and evidence-based solutions.